Copenhagenize.com - Bicycle Urbanism by Design: The Future of Transportation?! It's 8:44 in the morning here in Copenhagen. It's Friday and the weekend beckons. I've started the day with a laugh. Not a smile or a chuckle. A good, healthy belly laugh. Thanks to our reader Baljeet, in Australia for the link. 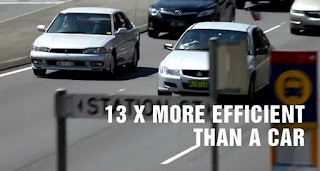 You may know our "Car Industry Strikes Back series" here on Copenhagenize, wherein we bikeslap ads from car companies and car insurance companies for targeting bikes in their advertising because they are see as a threat to the market share. Here's another example, but from an unexpected and highly-amusing corner. It's an appeal to Australian Minister for Infrastructure and Transport Anthony Albanese and it's endorsed by Terry Dodds, Group Manager Public Works for the City of Ryde, in NSW, Australia. I have no idea about Mr Dodds' involvement apart from his endorsement. Watch the film. It's actually quite cool for the first two minutes. A great, inspirational build-up until 02:20... then... I laughed out loud. The whole voiceover is inspiring for the first half. "Never before has an opportunity presented itself that is so simple it can improve our urban transport problems and our way of life. An opportunity that can save billions of dollars in transport infrastructure. An opportunity that many countries have whole-heartedly adopted and are now enjoying the benefits of. The social benefits, the lifestyle benefits, the environmental benefits. It's an idea that is as simple as the wheel itself. It's the... Personal Mobility Device (PMD)"
THIS is solution for congestion, rampant transport costs, enivironmental concerns?! This is the new wheel? The new sliced bread? The PMD? There is nothing else? That's the gist of this film. 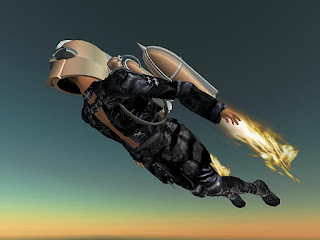 The Final Solution for saving the planet. That's IT? And let's see the studies for these stats, please. How about The Economics of Bike Lanes? The film is well-made, but I'm sorry... the PMD? The film makes it sound like countries around the world have vast armadas of these electric contraptions filling their sidewalks. Come on. Seriously. All the effort that went into this film and this is the point? The PMD? "Forward-thinking countries are embracing this challenge head on. 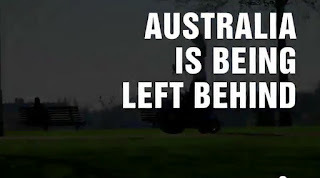 Australia is not." Mr Albanese is urged to make these PMDs legal on sidewalks in Australia. Because... um... this "archaeic law" restricting them is the only standing in the way between us and total planetary salvation. "In Canada, a study showed them to be far superior in stability to bikes and mopeds..."
Can we see that study please? "Because they have an electric motor, more people will use PMDs over the physical challenge of a bike. White collar workers don't want to arrive at work sweaty. HAVE YOU EVER WONDERED WHY LESS THAN 1% OF COMMUTERS CYCLE TO WORK?" Yes, I've wondered. That's what I wonder every day here at work. But for the love Odin, this myth about sweat is starting to piss me off. Canberra. 1950s. The PMD people don't want you to see this. Or these photos from New South Wales. Or these from Queensland. Yes... we know that. But it's not because PMDs aren't allowed on sidewalks. "Never before has an opportunity presented itself that is so simple it can improve our urban transport problems and our way of life. 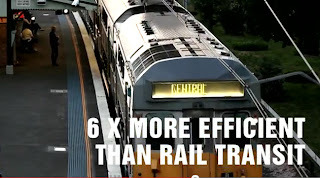 An opportunity that can save billions of dollars in transport infrastructure"... Yes there has been an opportunity. 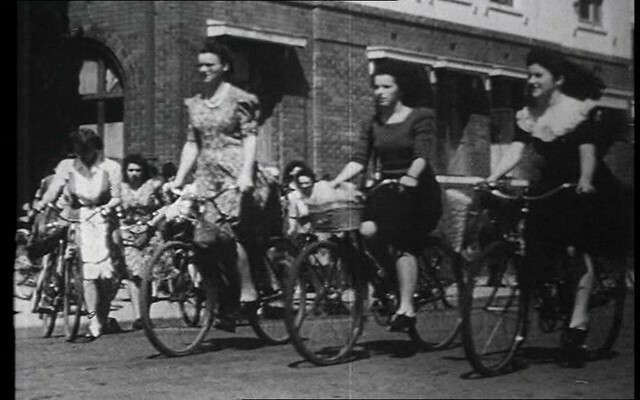 The bicycle transformed human society more quickly and more efficiently than any other invention in human history. And it's happening again, all over the world. 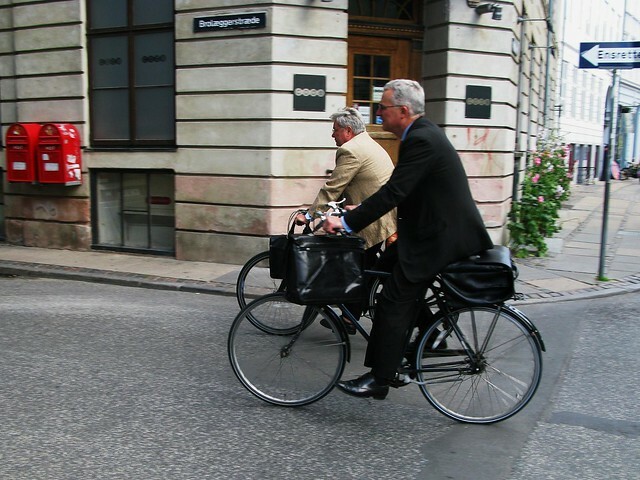 White collar workers - like all Citizen Cyclists - take it easy when they ride. Listen. Fine with PMDs, e-bikes and all these vehicles. Fine that they are a supplement to the existing bicycle market. But please... let's keep it real. The bicycle has served us well for 125 years and will continue to do so. The massive marketing budget of the e-bike/PMD industry risks tipping the balance. We risk telling an entire generation who are just now returning to the bicycle that a motor is the only way to go and that 'old-fashioned' bicycles are 'hard work'. Despite 125 years of solid evidence to the contrary. This film is like so much of the marketing of e-bikes and other vehicles. It's a follow the money tale that paints a picture that is distorted and not a little ridiculous. PMDs and Segways don't fight obesity and lifestyle illnesses. Bicycles do. We're still waiting for the studies that show the lessened effect on public health that e-bikes have - compared to bicycles. PMDs and e-bikes are still largely coal/nuclear powered, depending where you live, so spare us the preachy 'oh so green' over-exaggerations. Then there is the question of battery disposal and lithium. I don't give a toss whether Mr Albanese changes the laws regarding PMD usage on sidewalks. There will never be enough of them to matter. This film, however, highlights how the bicycle continues to irritate people who want to make money off of alternative vehicles. You don't target something unless it is a real threat. The bicycle - in all it's simplicity - is the tool that will transform society and our cities. History is repeating itself.